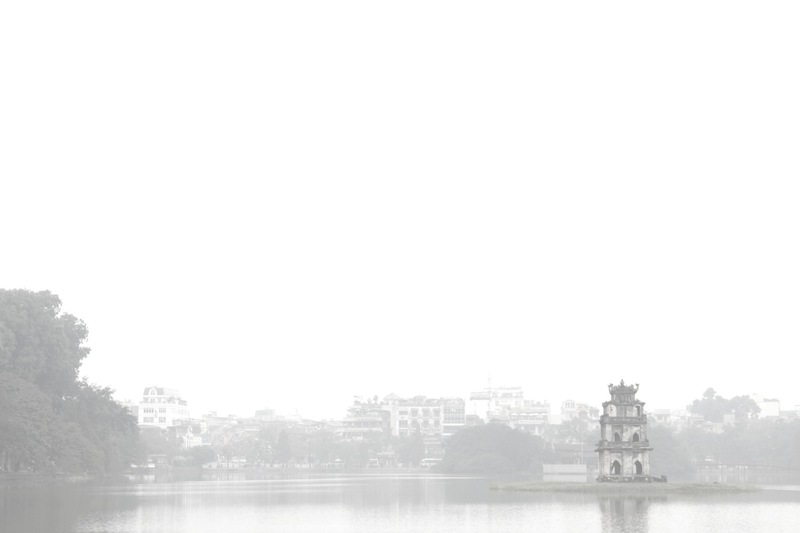 Hoan Kiem Lake, shrouded in mist. 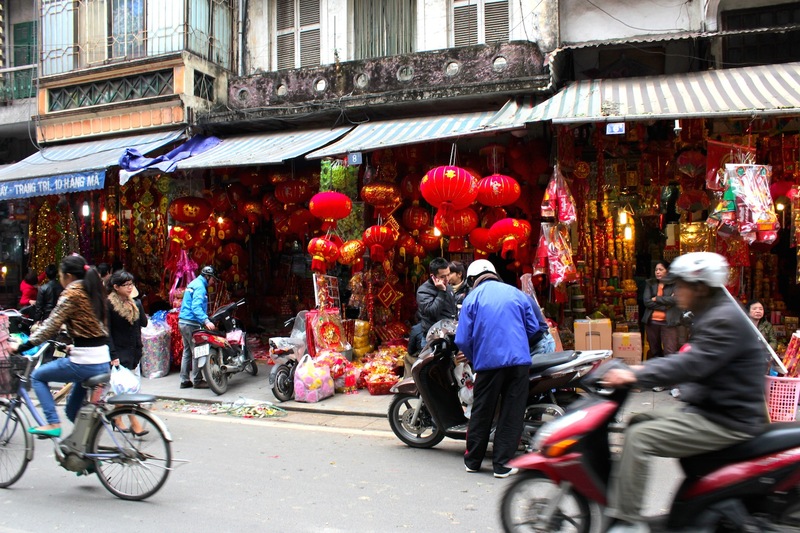 Hanoi is a twin city, encompassing both the ancient Sino-Vietnamese Old Town of Hà Nội, or 河內 (meaning “river interior”), as well as a more recent French confection – Hanoï ville. For 1000 years, the city has existed, and has variously been anointed capital city of what is today’s Northern Vietnam. 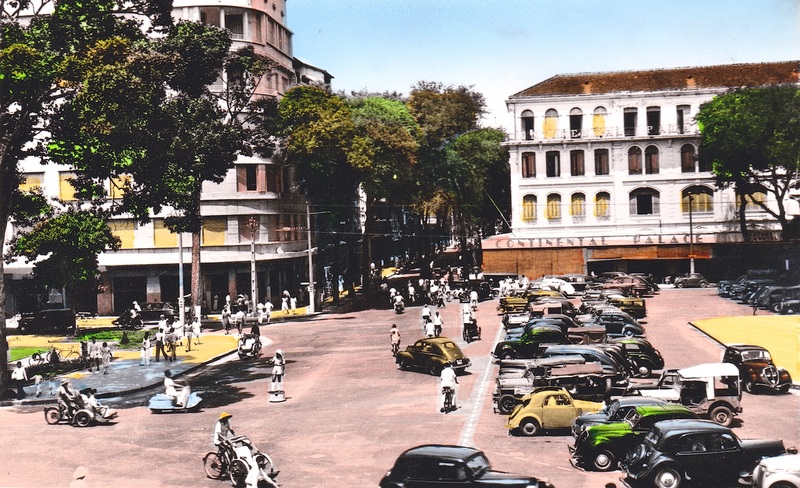 It was also the capital city of French Indochina from 1887 to the Vietnam War. ✑ Spend some time lingering by the banks of Hoan Kiem Lake 湖還劍 (“Lake of the Returned Sword”)- which lies at the very heart of the city and of Hanoi-ans’ collective memory. Go at dawn when the mist hangs heavy over the water and the view is heart-stoppingly beautiful. While you’re at it, visit the Ngoc Son Temple 祠玉山 (“Jade Mountain Temple”), situated on its very own island; and try to spot the one remaining giant turtle in the Lake’s murky depths before the entire species goes extinct. ✑ Explore the Old Town, also known as the 36 Streets (36 行), each dedicated to a particular traditional trade. Again, go at dawn, when people and motorbikes have’t yet appeared, so you can actually see the surprisingly varied architecture of the buildings, and leisurely stumble onto the dozens of temples dotting the area. 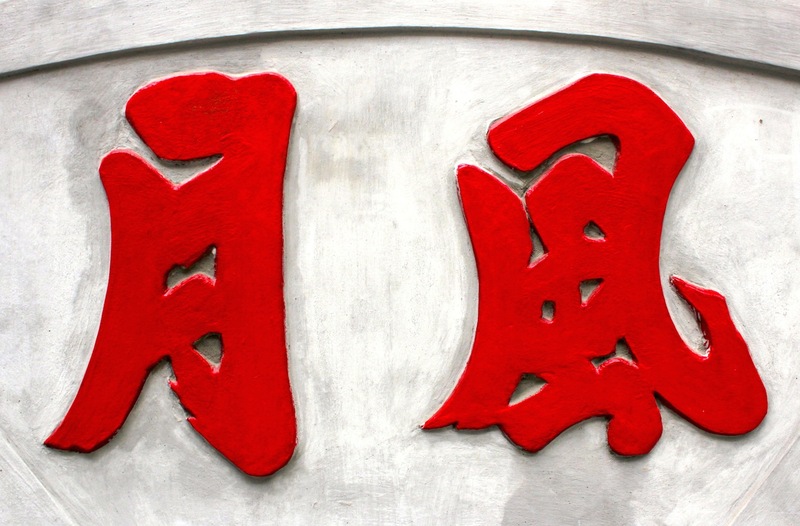 Note that in Chinese, the character for “trade” is the same as that for “street” – 行. ✑ Pay a visit to the Temple of Literature or Van Mieu 文廟, and pour over the ancient stelae documenting the names, in Chinese characters, of scholars who passed the Imperial Examinations. Temples of Literature are dedicated to Confucius and may be found in China and nations traditionally in China’s sphere of influence: Korea, Japan and Vietnam. ✑ Take a walk down the city’s colonial quarters situated to the East and Southeast of Hoan Kiem Lake. Here you will find such grandiose monuments to la civilisation française – the likes of the Old Opera House, the Gothic Cathedral of St John and the former Banque de L’Indochine. 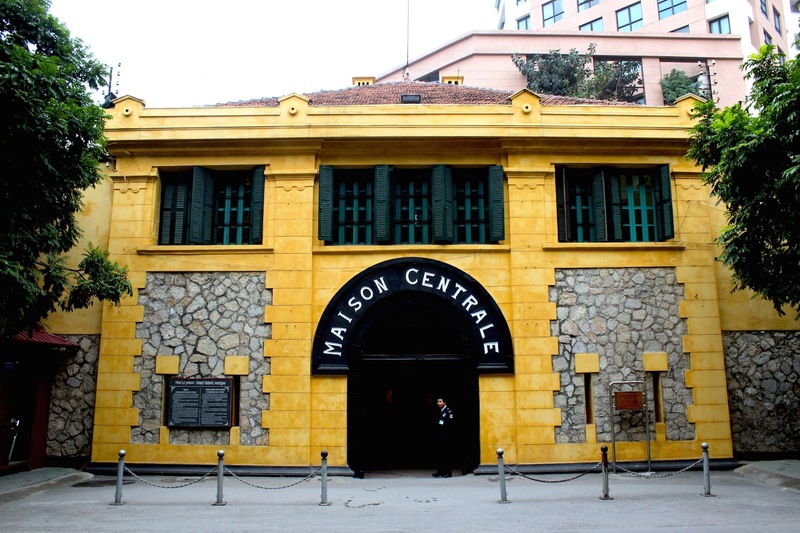 Here also, you will find the infamous Maison Central, also known as the “Hanoi Hilton” and used as a prison for dissidents during the Colonial and Vietnam War eras. 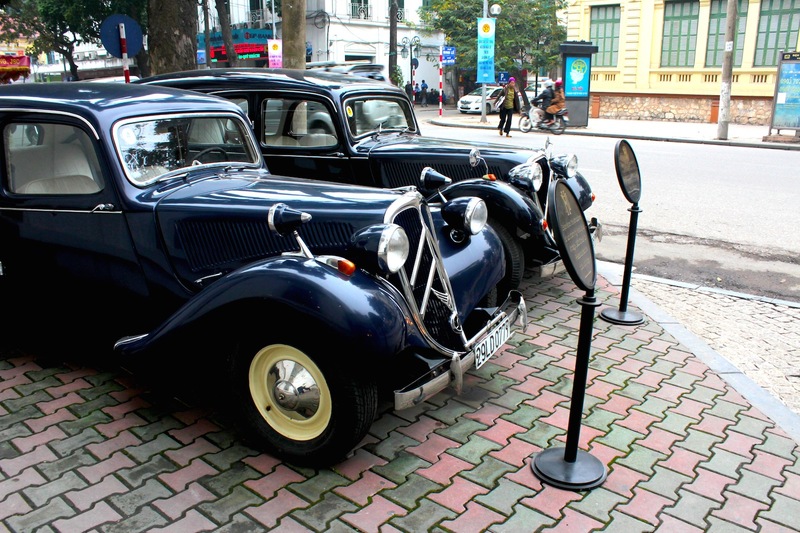 ✑ Take a tour of the city by a vintage 1950s Citroën (offered by the Sofitel Legend Metropole Hotel), for a delightfully nostalgic trip down memory lane, and the novelty value of having people stare at you through the windows. Hanoi, like its sister city Saigon, is polluted, noisy, difficult to navigate and oftentimes completely enervating, on account of the traffic (and those thousands of feral motorbikes). The best time to see the city is at dawn, when everything is still and you are able to experience and appreciate the city as it was a hundred years ago. The best time to visit the city is during its winter season – Hanoi is only one degree south of Hong Kong and does actually get chilly towards December. Hang Ma (or Votive Offering Street) in the Old Town, decked out for Tet – the Vietnamese / Chinese Lunar New Year. 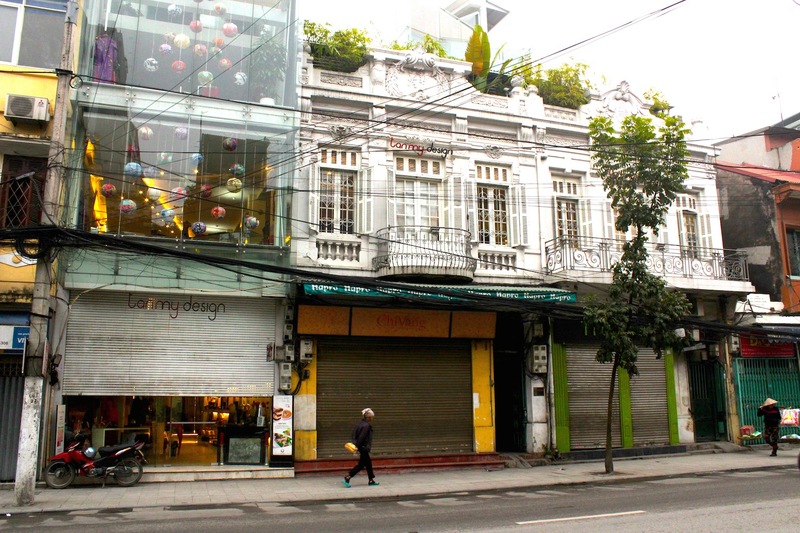 A variation on the traditional shophouse architecture found all over Southeast Asia – here in Hanoi’s Old Town. 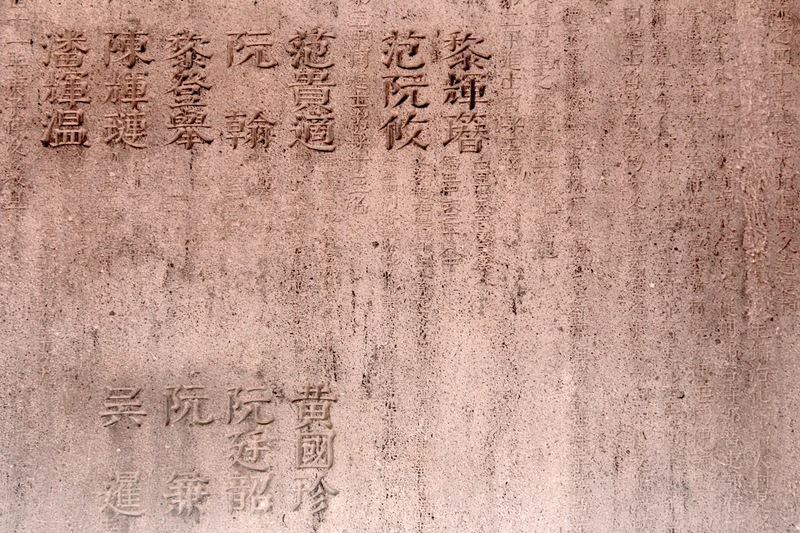 Names of graduates of the Imperial Examination, carved onto steles at the Temple of Literature. 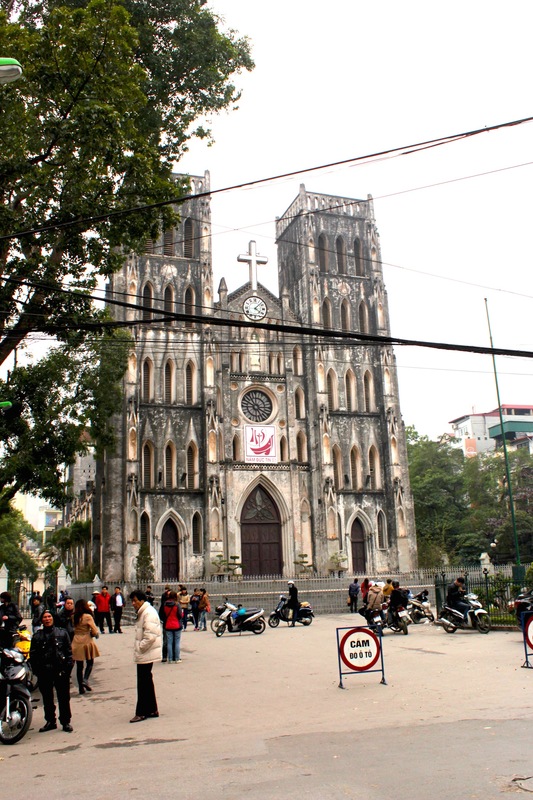 Hanoi’s gothic Cathedral of St John. 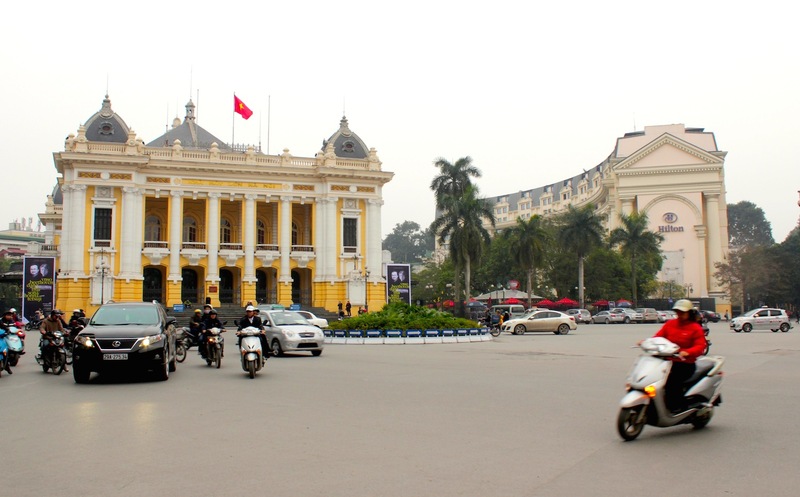 The Hanoi Opera House and the Hilton Hotel. Vintage Citroens at the Sofitel Legend Metropole Hotel. 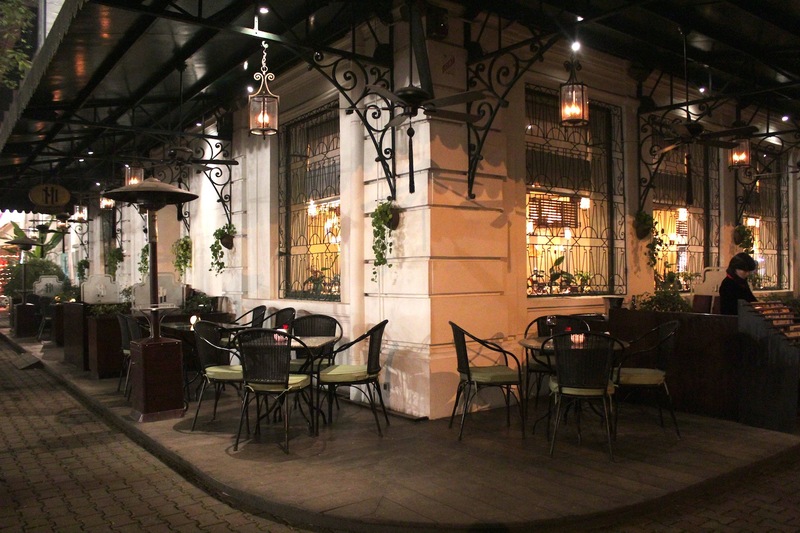 The iconic and fabulous La Terrasse cafe restaurant, at today’s Sofitel Legend Metropole Hanoi. Hôtel Métropole in Hanoi is one of the most beautiful hotels on this Grand Tour of Southeast Asia, and it is easily also one of my favourite hotels of all. 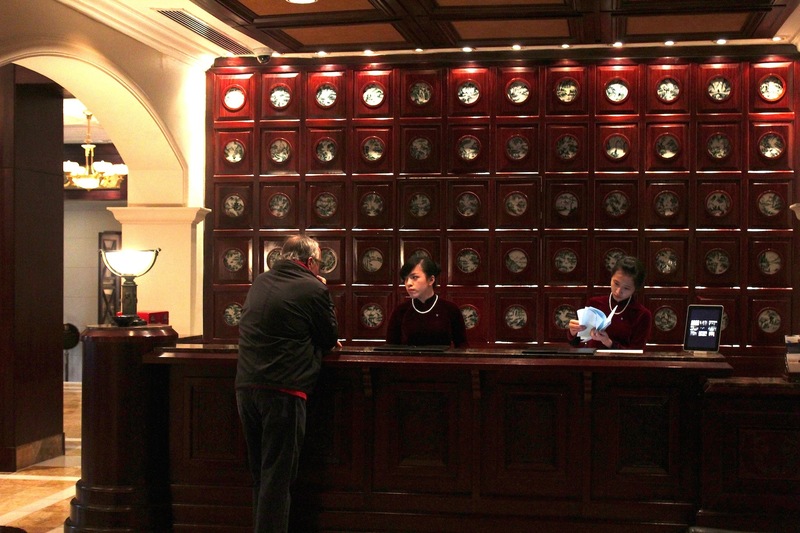 Opened in 1901, it was the grande dame of the Hanoi social scene; and over a hundred years later, as the Sofitel Legend Metropole Hanoi, it remains the city’s most illustrious hotel establishment. 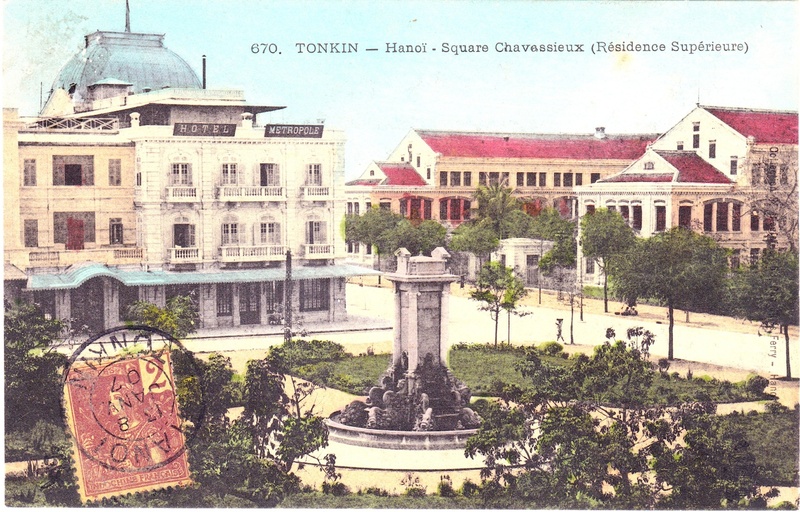 Hotel Metropole sits at left in a postcard from the early 1900s. The square it sits on was known as Square Chavassieux. Across from the Hotel stood (and stills stands) the Residence Superieure. 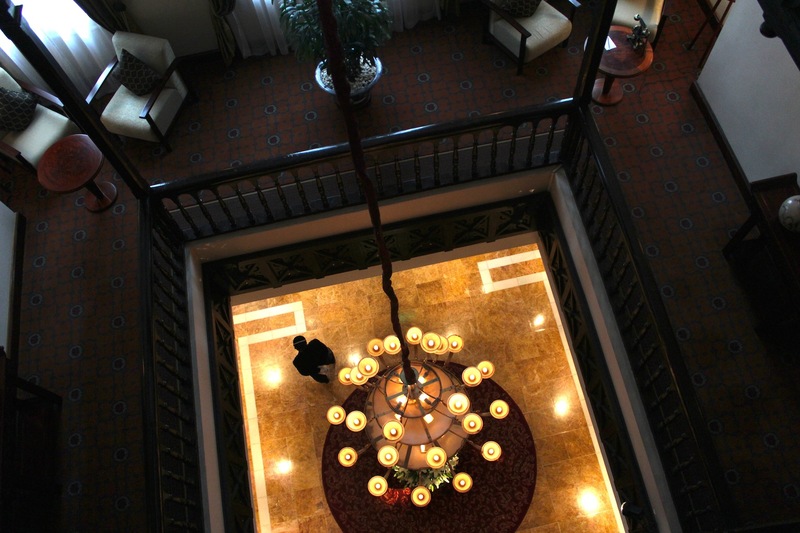 Stepping into the hotel is like stepping back in time – the atmosphere is chic, glamorous, chic and steeped in nostalgia. Wrapped up in a seasonal quilt in Winter and supping at one’s aperitif in the famous Bamboo Bar inside the hotel’s central courtyard, one feels transported to Paris during the Belle Epoque (1870s – 1910s). The hotel is lit up with a thousand christmas lights, and the lilting melody of French chansons waft through the air. Another memorable and unique experience the hotel offers is a spin across town in one of its 1950s vintage Citroën cars. Sailing through the streets in this vehicle, with hundreds of ordinary Hanoi-ans peering curiously at one from their motorcycles, it is hard not to feel like a turn-of-the- century colonialist, ostentatiously descending onto the town for a sumptuous dinner and subsequent merry-making at the cabaret. Vintage Citroens at the hotel.